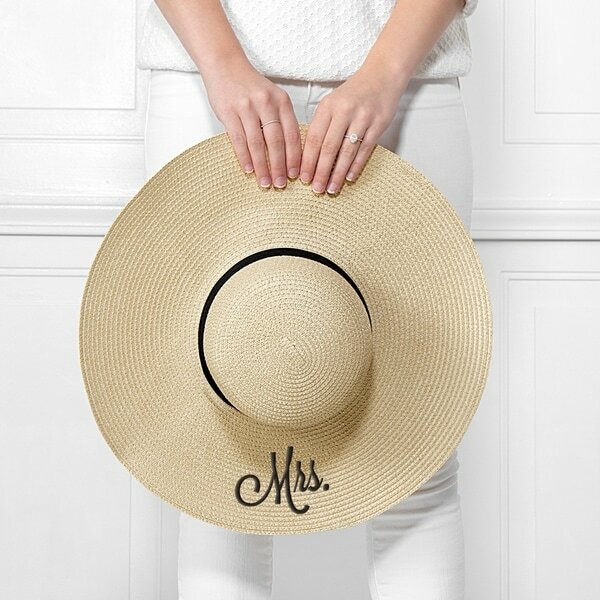 Perfect your wedding shower mood, honeymoon getup, or vacation look with this natural hat. This hat's 'Mrs.' inscription informs everyone that you're taken, and a wide brim keeps sunlight and glare from your facial skin and eyes. Dimensions: L: Brim: 5.25". Crown: 7.25". W: Crown: 7.25" H: Crown: 4.25"
Factory sealed boxes cannot be returned if opened.